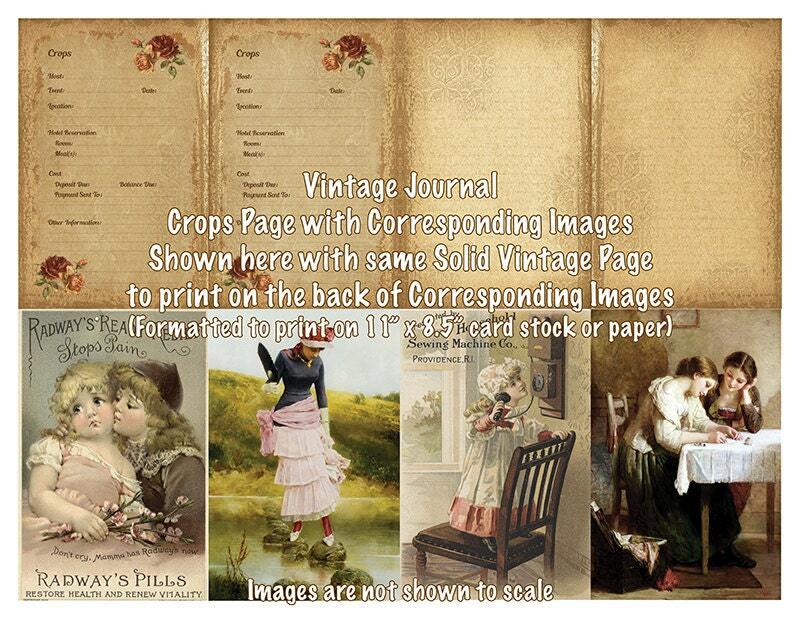 The Original Vintage Journal (OVJ) is separated into 2 groupings, each sold separately. This grouping contains the final 4 PDFs; the first grouping contains the first 5 PDFs. All PDFS are formatted to print on 11” x 8.5” card stock or paper (print “Actual Size”). Folded in half, the journal pages create two pages. Loved these vintage download images. Thanks.